Last week, after I spent a couple of days in Brest, Brittany at a ESF, EU workshop/seminar brainstorming with other internet and scientific researchers on interesting topics related to internet science and innovation, I got myself back to Paris. I visited a French national institute with an international reputation for scientific excellence – ESPCI (École supérieure de physique et de chimie industrielles) and the CNRS department of Physics, Quantum Foundations – a group dedicated to research on quantum effects in materials. Also, I took the opportunity to meet up with two Australian Science writers who reside in Paris: Rayna, and Charles. 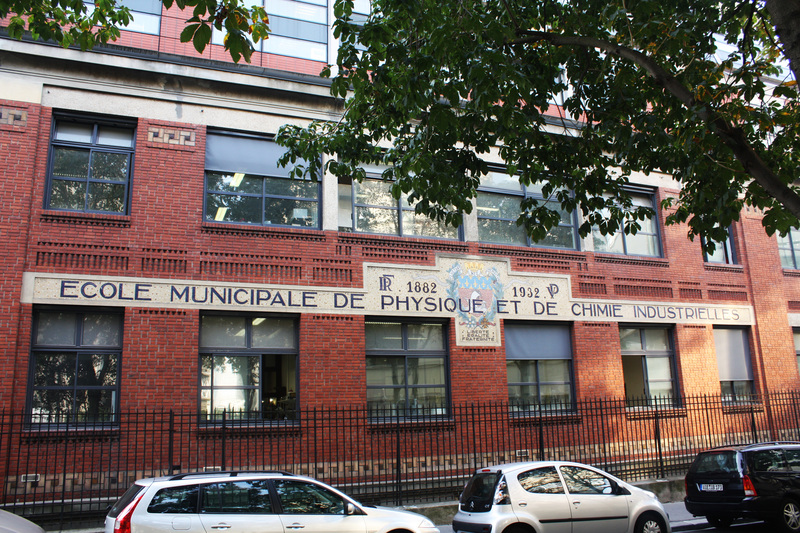 ESPCI Paris Tech stands for Physics and Chemistry Higher Educational Institution (a French “Grande École d’ingénieurs”). Founded in 1882, ESPCI is a major institution of higher education – an internationally renowned research center, gathering leading scientific innovators like Nobel Prize laureates Pierre and Marie Curie, Paul Langevin, Frédéric Joliot-Curie, Pierre-Gilles de Gennes, and Georges Charpak. At ESPCI, I met with Arjen Dijksman, a physicist and researcher interested in tiny semiconductive nanoparticles, known as “quantum dots”. His background is in applied physics, and his research interests are focused on time-resolved spectroscopy of core-shell CdSe-CdS quantum dots. 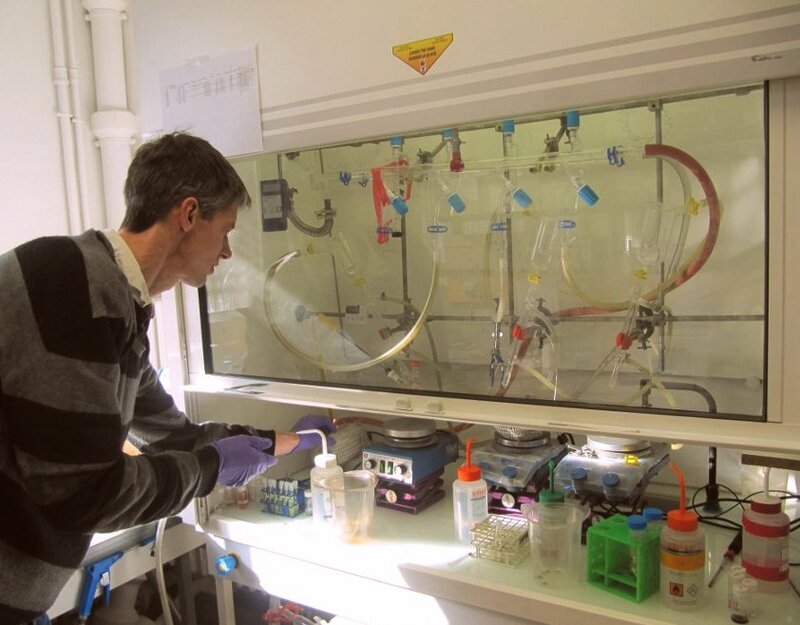 Arjen works at the Laboratoire de Physique et d’Étude des Matériaux − (Department of Physics and Materials Study) – an inspiring and interesting lab, and a place for the scientist interested in these innovative fields of physics. Arjen is also a science blogger at Physics Intuitions, and you may not know the fact that Arjen is also the scientific database creator for Physics Quote of the Day: hashtag on Twitter #xsw (exploring the scientific world), he spent years collecting interesting quotes from famous scientists. 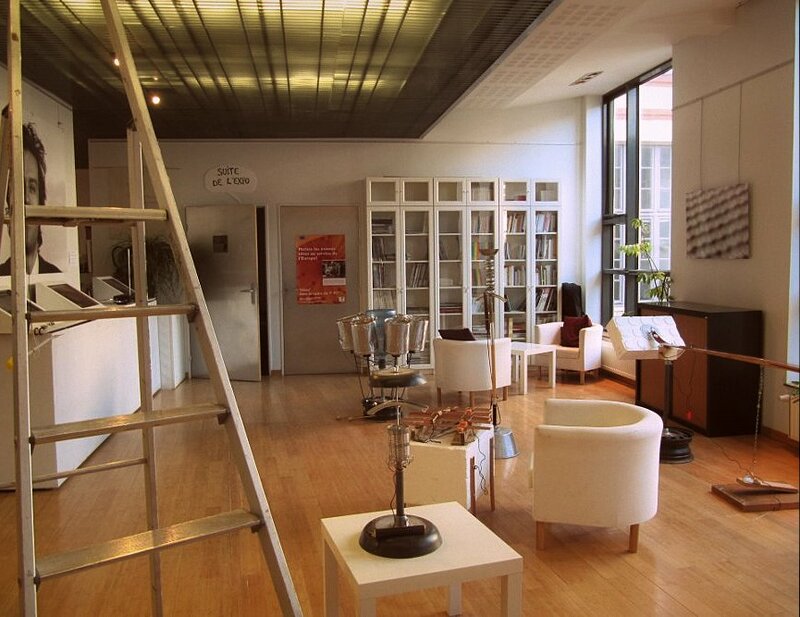 Before going to the lab, we stopped by ESPGG – the Pierre-Gilles de Gennes center, where science meets culture and society. This open place is promoting international exchanges, meetings, lectures, exhibitions, and joint discussions between researchers, science communicators, journalists, artists, and storytellers interested in science and culture. Matteo Merzagora, a program director, introduced us to the Biophilia Education program happening this month: workshops led by musician Björk at the intersection between science, education and musical awakening. During the lab tour, Arjen showed me the labs and demonstrated synthesis of Quantum Dots. Arjen’s research puts into practice the results of quantum mechanics using semiconductor nanocrystals. To the contrary of insulators, in which electric current can not flow, and conductors, where it can circulate easily, semiconductors are materials in which current can only flow if one adds a little extra energy. In his laboratory, Arjen synthesizes these crystals, dubbed quantum dots . They are sometimes called “artificial atoms” because their diameter is of the order of a few nanometers – the size of a few atoms. Cadmium selenide, a semiconductor material, is often used because in that case, they show amazing properties of fluorescence. In particular, electrons are confined in the small volume of the quantum dots. They are unable to move out of this space. A confined electron can absorb light energy it receives, and emit light if it gives back its energy. The frequency of the emitted light depends on the volume in which the electron is confined, like the frequency of a tone emitted by a plucked guitar string. The larger the quantum dots, the lower the frequency of light they emit. To the naked eye, we obviously cannot see the detail of a quantum dot. Thus, it is preferable to fill a vial with a large number of quantum dots that are floating in a liquid solvent. When placing the vials on an ultraviolet lamp – as seen on the video – we find that they begin to shine in all colors! In fact, the electrons in these crystals give part of the energy they received from the lamp as the emission of light. Each vial glows a different color – it fluoresces – because it contains quantum dots of different sizes. If left unchanged, these crystals have a tendency to flash or to shut down over time. To avoid these undesirable phenomena, Arjen adds a shell of cadmium sulfide. This ameliorates their fluorescence properties. I was shown the quantum dots under normal daylight and under ultraviolet light under the microscope. They look amazing. Nano sub atoms in beautiful sparkling colours. Arjen made the artificial atoms sparkle. What are the applications of Arjen’s research in nanocrystals? – Renewable energy sources: the electrons of the quantum dots can absorb a large spectrum of wavelength of solar light and be used as electric current. – Optoelectronics. The quantum dots absorb and emit light in very tiny amounts, which can be used as single-photon signals. – The quantum dots are useful for example in medicine. Non-toxic quantum dots can be located in the human body through the light they emit. They then act as biological markers and allow for example to visualize the development of a tumor in an organ. Thanks to DejanSEO for supporting the visit to CNRS.